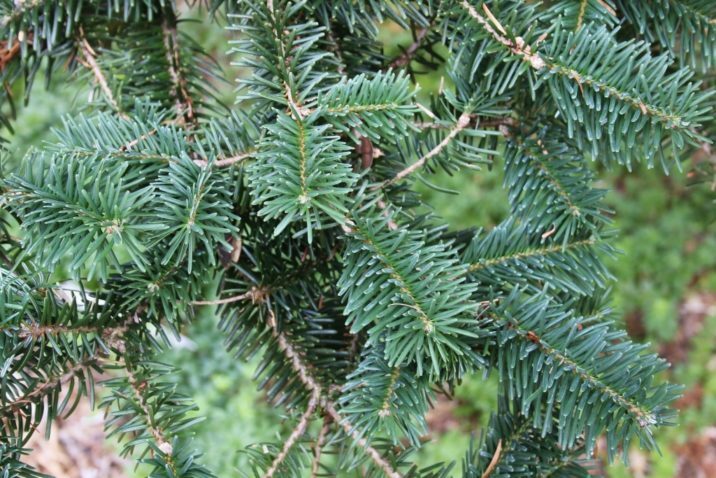 Abies firma, as described in 1842 by Philipp Franz von Siebold (1796–1866) and Joseph Gerhard Zuccarini (1790–1848), in Flora Japonica, vol.2, is commonly known as Momi fir or as モミ (fir) in the Japanese language. 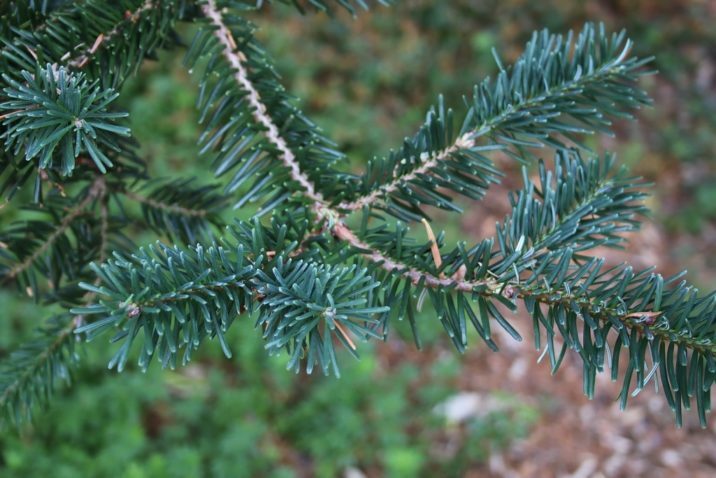 The species name emphasizes this conifer's stiff needles. Ethnobotany. In Japan, the wood is used for construction and coffins. As with most species having wood of a uniform light color, the Japanese find it exceptionally pleasing. 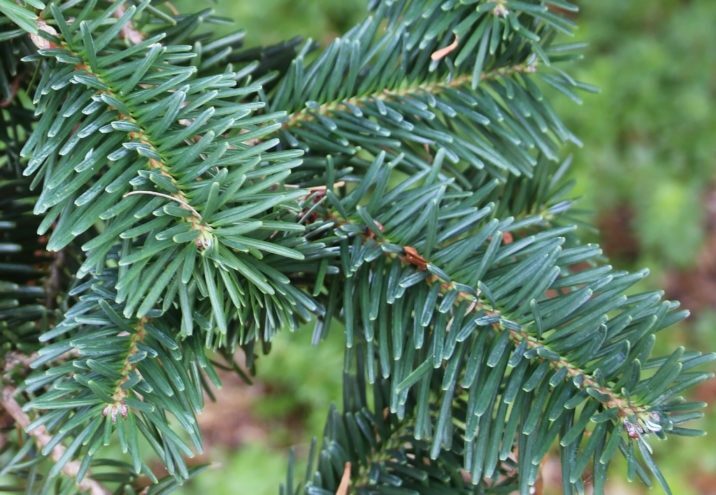 In the U.S. and Europe it is a popular ornamental species, as well as proving to be a valuable seedling for use in understock for other fir species for planting in the southeastern U.S. Description. 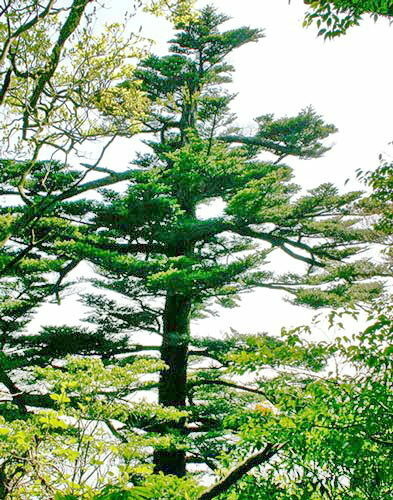 Momi fir is an medium- to large-sized, evergreen coniferous species of tree that grows to mature heights of 160 ft (50 m) tall with a 6 foot (2 m) wide trunk diameter, measured at breast height. Its broad, conical crown of straight branches rises at an angle of about 20° above horizontal. 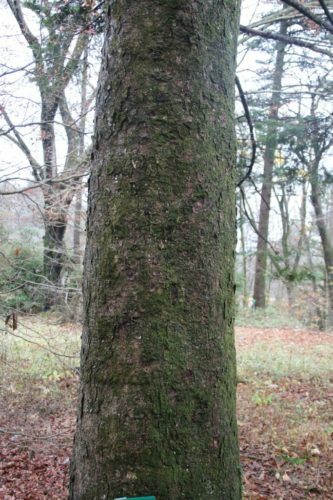 Bark is scaly grey-brown, with resin blisters on young trees. 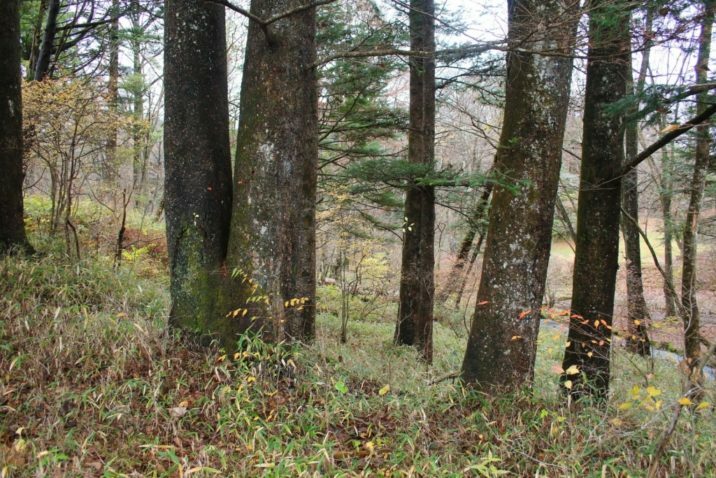 Shoots are grooved, buff to grey-brown in color, with a glabrous or finely pubescent texture. Leaves (needles) are flattened, measuring 0.8 to 2 inches (2 – 5 cm) long and 0.08 to 0.16 inches (2–4 mm) thick, spread at nearly right angles from the shoot. They are bright green above, and grayish-green below with two broad stomatal bands. Seed cones measure 3 to 6 inches (7 – 15 cm) long by 1.2 to 2 inches (3 – 5 cm) wide; colored green, maturing yellow-brown, tapering to a 0.8 to 1.2 inch (2 – 3 cm) broad bluntly rounded apex. Seeds measure 0.28 to 0.36 inch (7 – 9 mm) long with a 0.6 inch (1.5 cm) long wedge-shaped wing. They are released after the cones disintegrate at maturity in October. Attribution from: J. Silba; An international census of the Coniferae. Phytologia memoir no.8; ©1986, H.N. Moldenke and A.L. Moldenke, Corvallis, OR. 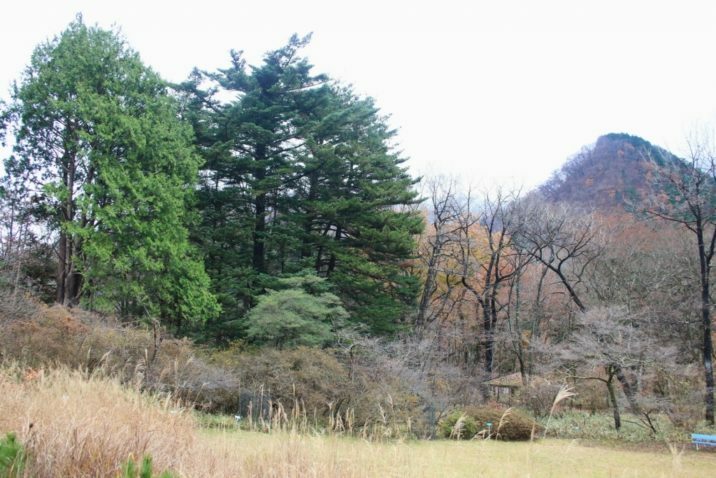 Abies firma — in habitat on northern Kyushu, near the city of Fukuoka. 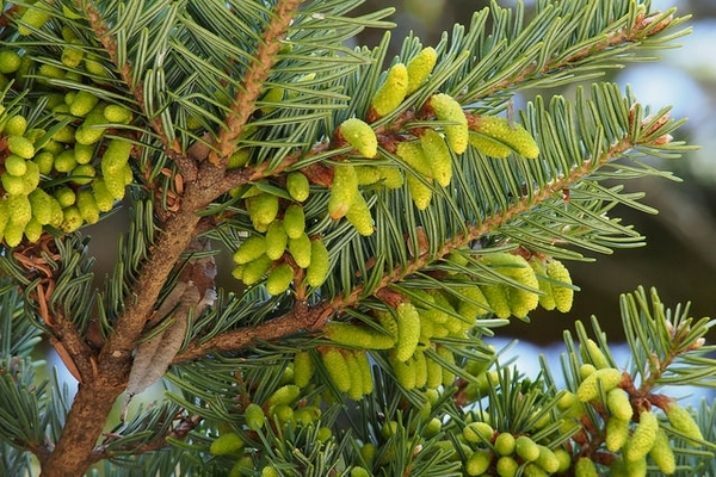 Abies firma — foliage (abaxial aspect) and pollen cone detail. 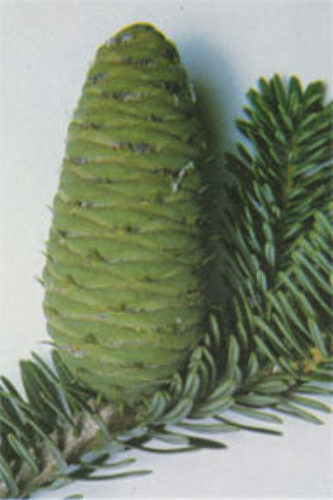 Abies firma — mature seed cone.